PROSERNAT selected Fives and its Pillard SulFlam for its high efficiency. A high impulse acid gas burner for the Claus reaction furnace, Pillard SulFlam is at the heart of the Sulphur Recovery Unit process. For Lukhoil Perm site in Kokiusk area, the customer was also looking for a solution able to burn lean acid gases with low H2S content, without soot formation, which Fives provides through proprietary co-firing equipment. A few months later, Fives was awarded another contract to supply two Pillard SulFlam for the Claus furnaces, and two Pillard GRFlam for the thermal gas treatment unit to be installed in TAIF Nizhnekamsk refinery, Russia. This equipment is planned to be delivered in 2015. 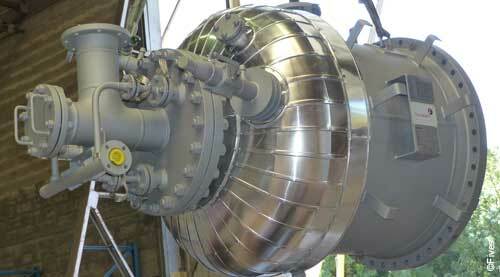 For the tail gas incineration unit, Fives offered PROSERNAT a tailor made “LoNOx” version of its Pillard GRFlam. The main challenge was to meet the NOx emission requirements minimizing the impact of the Amine content in the tail gas upstream. PROSERNAT is a long term customer to Fives, and with those 2 contracts, once again confirmed its trust in the high value-added of Fives solutions for the SRU market.